First General Services of Hartford and Eastern Connecticut provides 24/7 emergency water damage restoration services to residential and commercial properties throughout Connecticut. Our primary areas include Middlesex County, New London County, Windham County, Hartford County and Tolland County. If left standing, unexpected water damage will cause significant structural damage as time passes. 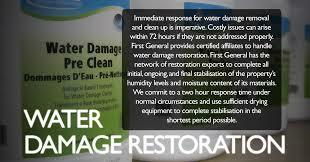 It is critical to immediately begin the water damage restoration process, to reduce the potential for loss. 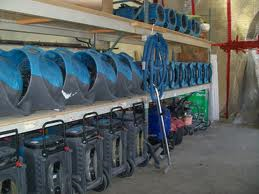 Our team of certified technicians respond immediately to residential and commercial water damage cleanup requests. We complete a detailed inventory of damages and estimate for repairs. We work alongside the insurance company and adjuster to ensure the property damage claim is handled professionally and the is quickly restored. We begin by removing the standing water, using high-tech water extraction machines. Next, we thoroughly dry out the structure and demo any unsalvageable materials. Personal belongings are carefully packed and taken off-site for cleaning. All affected areas of the property are cleaned, sanitized and deodorized to prevent the potential for mold growth. Finally, all necessary repairs are made, returning the property to its original state.